SWP comes out with annual budget analysis and engages the national government agencies, legislature, and local government units (LGUs) in the national and local budget processes by coming out with civil society crafted Alternative Budget Proposals. The alternative budget proposals consist of proposals for increased allocation for critical socioeconomic services, particularly on health, education, environment, agriculture, social protection and macroeconomic. 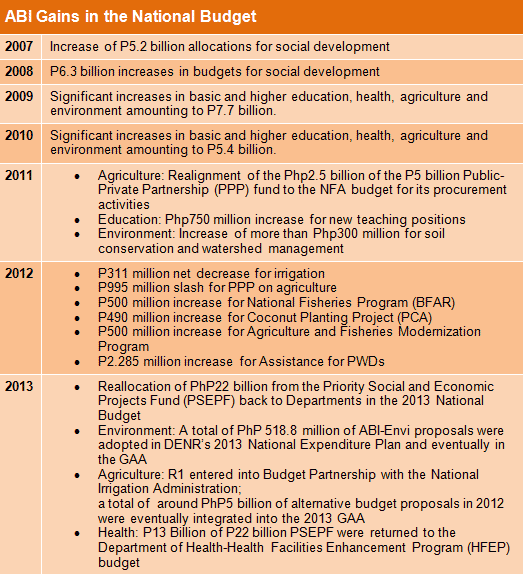 It also contains proposed sources of funding for the MDG programs.